So the most important for me is a good face creme and a good foundation. 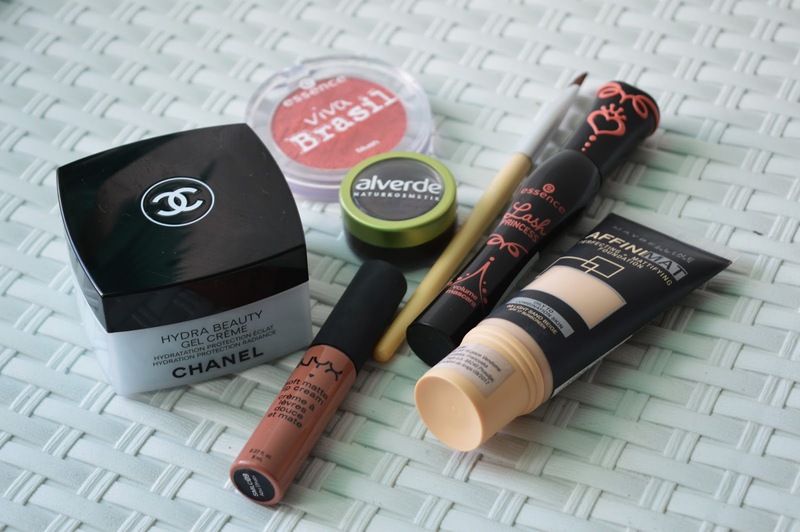 I use hydra beauty gel creme by Chanel or Nivea. I 'stole' this Chanel creme from my mother because it smells ridiculously good, but I use Nivea creme since forever. 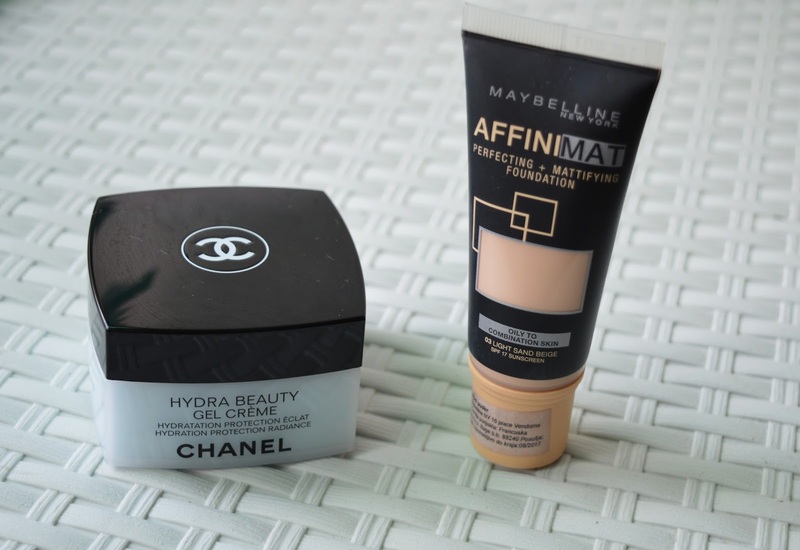 The foundation is from Maybelline (AFFINIMAT/ light sand beige) and I'm absolutely loving it. It is so hard for me to find a good foundation since I'm pale but this one is awesome. It is not too much oily and it gives my skin a mat look. After foundation goes good eyebrow and eyes care. For my eyebrows I use Alverde creme eyeliner in warm maroon and I'm loving it! I really love this product and my eyebrows always look pretty and smooth. 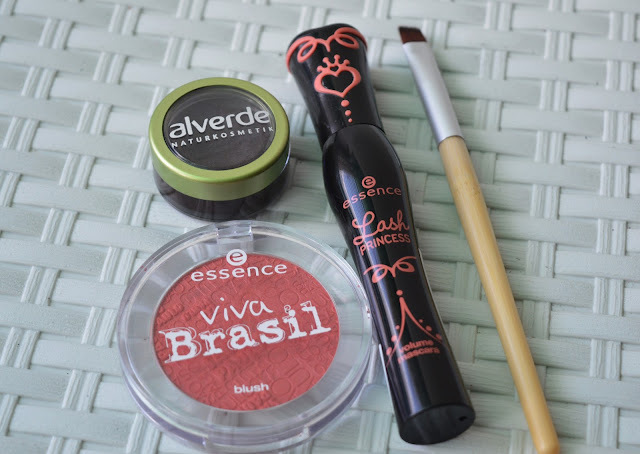 My lash mascara is from Essence (Lash princess) and blush (Viva Brasil) in Sao Paolo. I also use this Essence blush as my eyeshadow because I love this pinky/red color on my eyes. 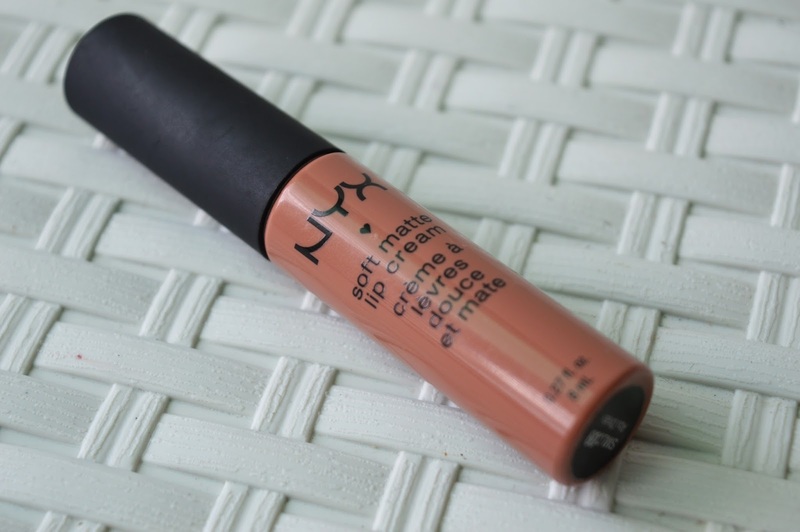 And the most favorite product ever is this NYX soft matte lip cream in Abu Dhabi. I also own Transylvania.